Hey Guys! We found some cool places to check out when you’re driving by the Downriver area. 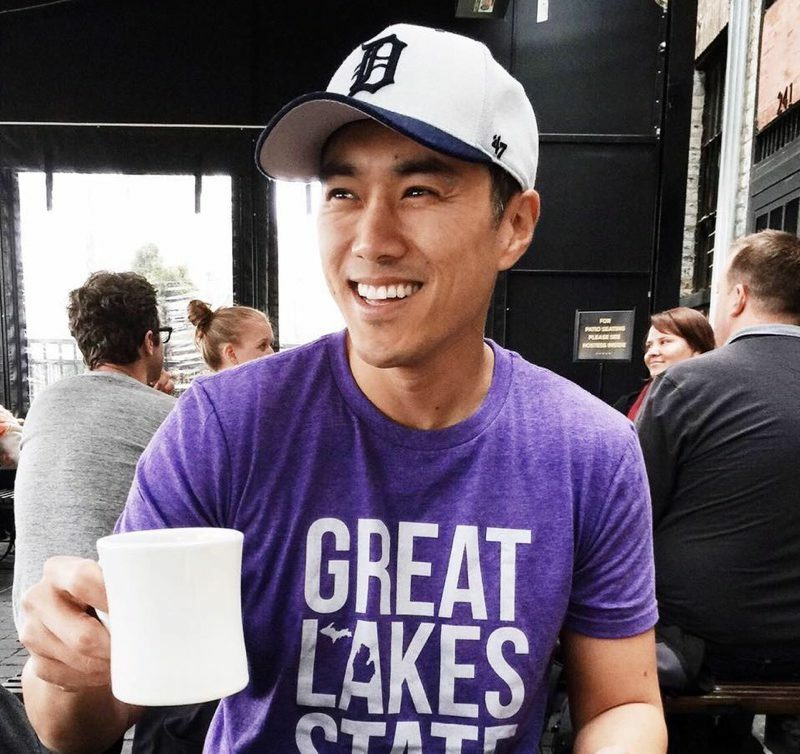 Seoung actually grew up in Lincoln Park so he has a special place in his heart for Downriver! Here are some of our recommendations but let us know where else you think should make this list! You can count on quality ingredients and delicious flavors when you hit up Promenade Artisan Foods. This local cafe makes everything in-house! They offer sweet and savory baked goods, freshly brewed coffee and tea, that will satisfy everyone’s taste buds. A splendid place for Saturday brunch and even to grab some goods to-go. They are closed on Sunday and Monday so plan accordingly! Their Africano Fries made it to our Top 10 Fantastic Fries’ List but did you know Peepo’s is known for their incredible Fruit Smoothies, Spicy Africano Chicken Subs, and the infamous Peepo’s Plate (Turmeric Rice topped with your choice of Africano Chicken, Tomatoes, Lettuce & drizzled with our Homemade Ranch). So many options to try and it’s one of my favorite places to eat in Metro Detroit! This family owned and operated cafe is another wonderful choice for having a laid-back lunch. They are well-known for their specialty hot-pressed paninis, like the Luke & Lulu, Bubby Bando, and even the classic Toasted Italian. Don’t forget to order a side of freshly brewed coffee to complete the meal. Get your ultimate taco fix here at Los Arcos. This local market is home to Mexican groceries and a dine-in area. You can order a variety of tacos like the steak, chorizo, and chicken, and guacamole! Get $1 Tacos on Tuesdays! Start your day off with a delicious breakfast prepared by the folk’s over at Kate’s Kitchen! This is one of the most popular restaurants in Flat Rock!. If you want something filling, there’s the savory Biscuits & Gravy, Country Breakfast Specials, fluffy home-made Blueberry Pancakes, and even scrumptious house-made cream pies to take home. Here’s another prime bar and grille the locals in the city of Taylor would recommend. Plenty of seating indoors and on the patio for you and your friends to hang out. Their delicious burgers, crispy onion rings, savory hot wings, and cold beer on tap are all classic go-to items for watching sports! It’s a popular restaurant in Downriver for food, drinks, and rooting for Detroit sports teams! Craving some Chicken Lemon Rice Soup, Greek Salad, or even a Gyro platter? Gus & Us will take care of you. Their extensive Greek and American menu offerings and reasonable prices are why people keep going back. A great place for breakfast, lunch, and dinner. Check out their menu for authentic Greek food too! If you care about outstanding customer service, generous food portions, and fresh hot bread awaiting you, this is a must place to stop by! Everyone raves about the bread and the garlic dip that you can dig into before your main entrees arrive. The chicken kabobs, fattoush salad, fruit smoothies, and even vegetarian options are available to order. Pizza baked to perfection in a wood-fired brick oven is one of the best ways to enjoy pizza! Look at those generous toppings and perfect rise on the crust. Grotto’s is known for their other entrees besides pizza, like crispy homemade chips, Arancini, Calzone, and Gnocchi. This family-owned sub shop doesn’t cut corners when they are crafting Jersey-style sub sandwiches. The Michigan-sourced meats and cheeses are freshly sliced so in each bite, you will get a balance of bread, meat, veggies, and cheese. Pro tip: order the Whole Jersey Devil (Roast Beef, Ham, Turkey, Capicola, Salami, Prostini, Pepperoni & Cheese) and you can save leftovers for the later that day or you can share! I have been eating Jersey Giant for over 15 years since their original location in East Lansing. So good! Did you settle on something sweet or savory? Brunch or dinner? Either way, we hope this list can guide you to a delicious meal. Where else would you recommend around the area? Email us at hello@chowdowndetroit.com!